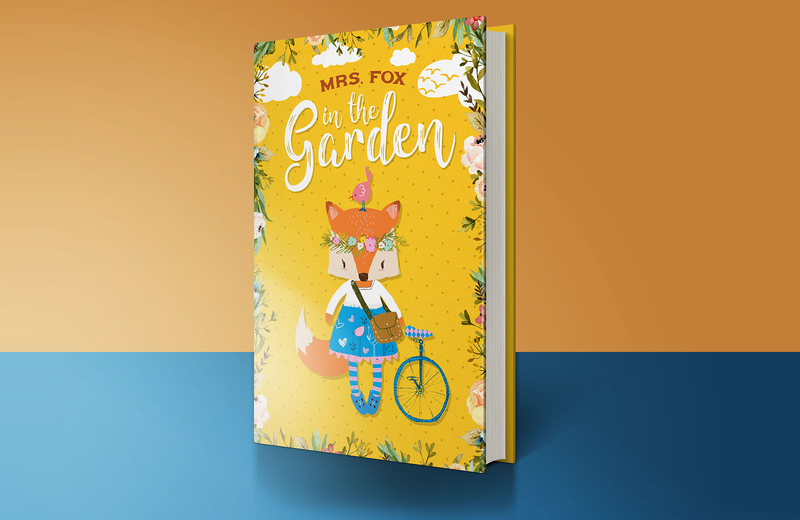 In this design tutorial I will be showing you how to use some of the fun and playful elements from the latest bundle to design a book cover for a children’s book with Photoshop. 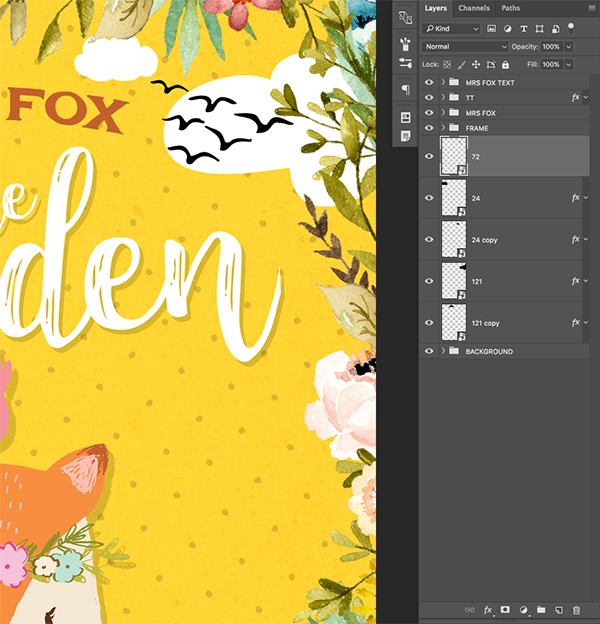 We will be incorporating some floral elements, patterns, and textures, along with an adorable fox character complete with illustrated elements and beautiful title treatment. Let’s jump right into it! 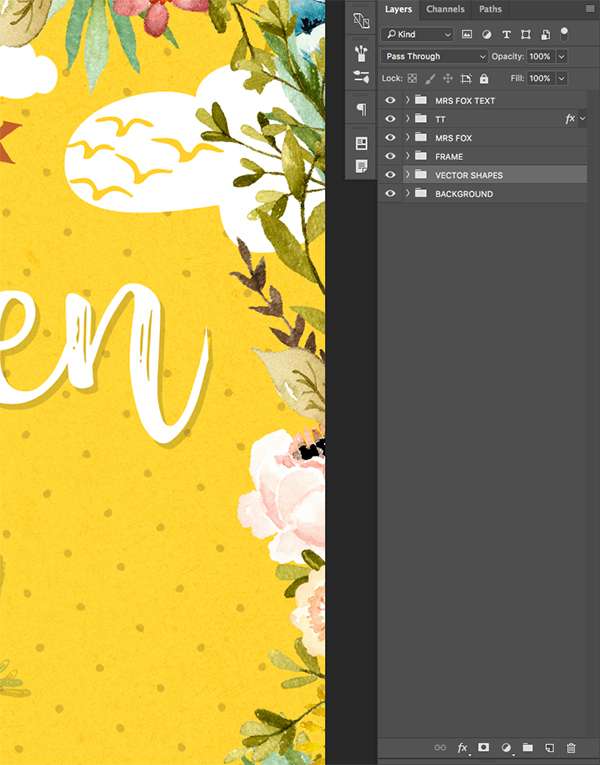 This huge freebie pack includes incredible resources from Lisa Glanz, Denise Anne, Kimmy Design, and Zeppelin Graphics. 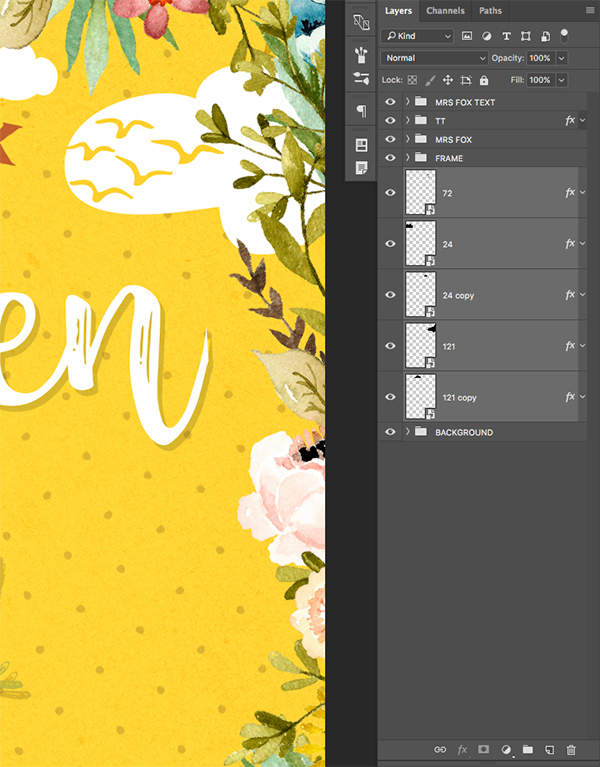 The freebie pack is just a tiny taste of the resources available in The Vibrant, Artistic Design Bundle for just $29 (that’s 99% off). 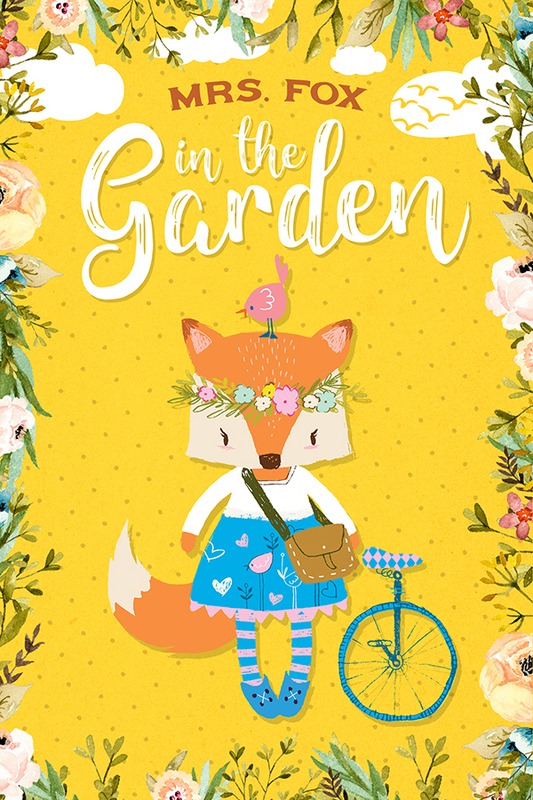 This bundle contains gorgeous glitter effects, vibrant florals, cute illustrations, and countless hours of fun to breathe new life into your design projects! 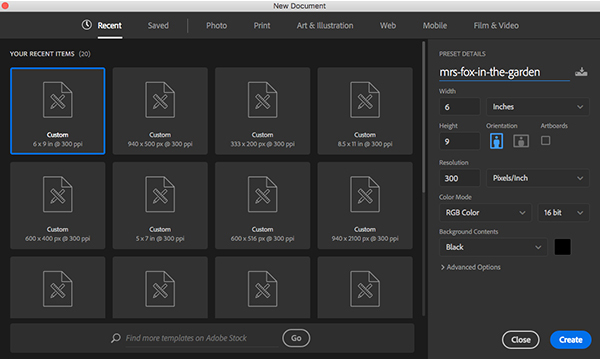 Open Photoshop and create a new document that is 6″ x 9″ as shown in the image. 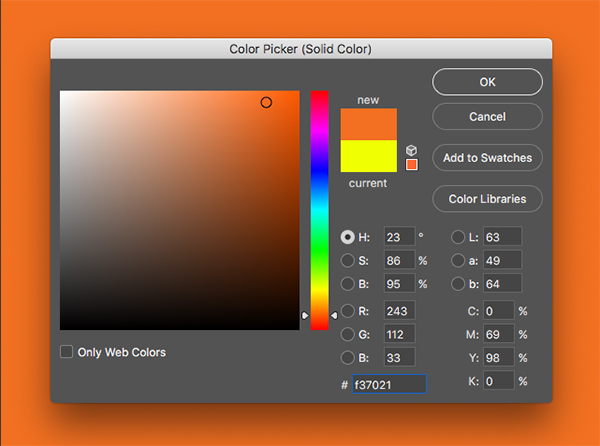 Make sure the resolution is set to 300 pixels per inch and leave the color mode in RGB for now. 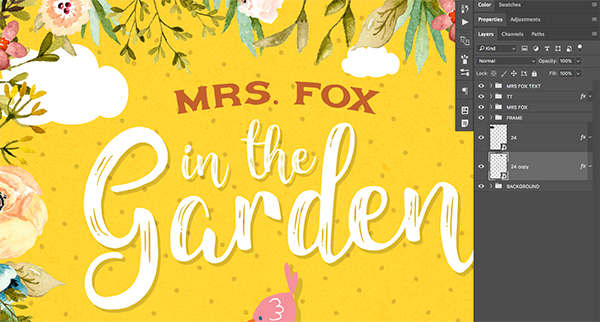 We can also take this opportunity to name our file ‘mrs-fox-in-the-garden’ or you can use a similar name before checking to ensure that your ‘Background Contents’ are set to black. After you have input the correct settings for your new document, click on the ‘Create’ button or press the Enter key on your keyboard. 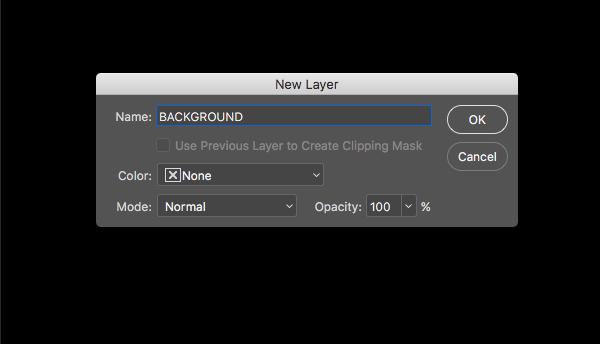 Double click on the Background Layer to unlock it and when you are prompted with the ‘New Layer’ dialog box, rename the layer to ‘BACKGROUND’ as shown in the image below. 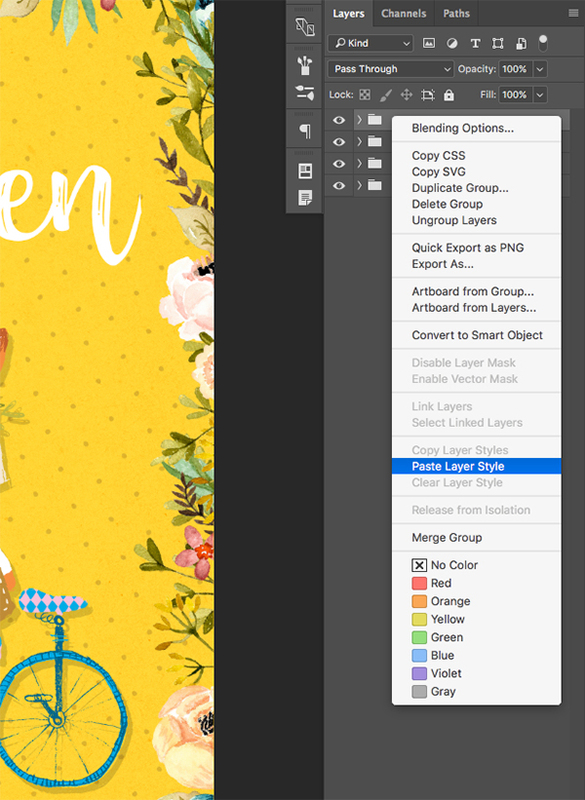 You should now have your document set up with one layer in your layers palette. 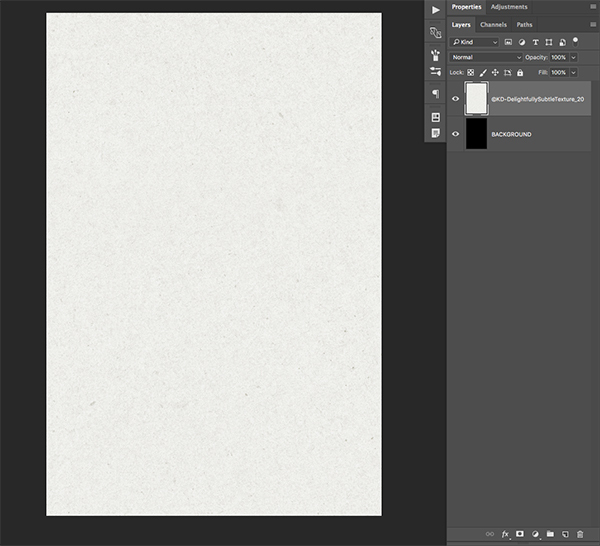 Open the ’©KD-DelightfullySubtleTexture_20.jpg’ file from the freebie pack for this tutorial and drag it into your Photoshop file. 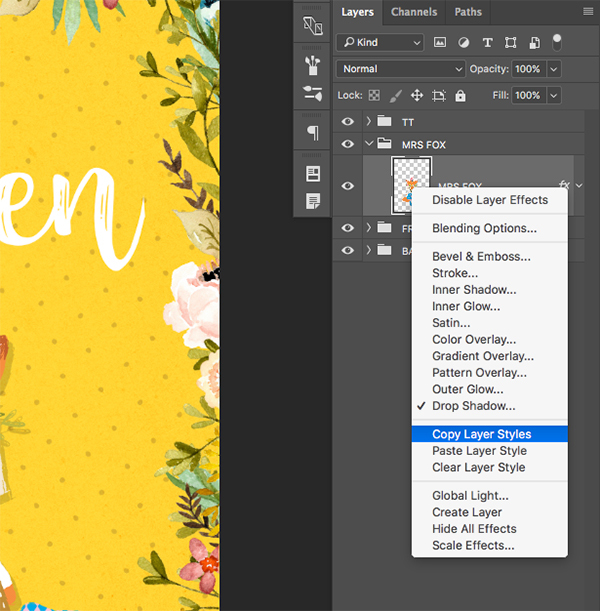 After converting your layer to a Smart Object, you should notice a small page icon with a folded corner on the layer that tells us that the layer has been converted. 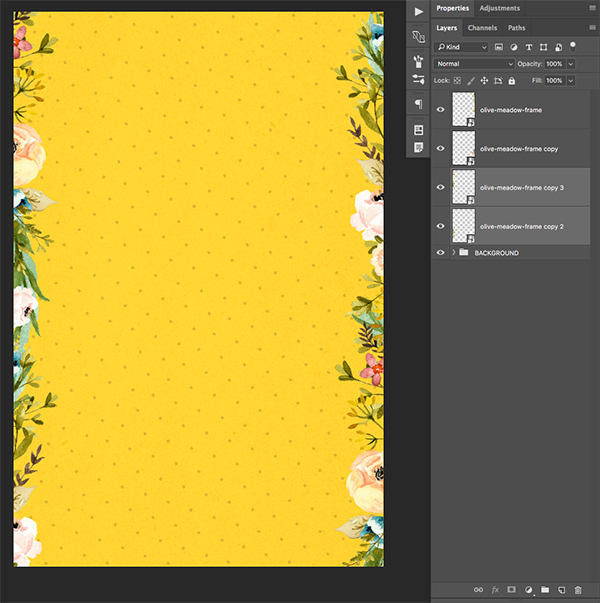 We will now open the ‘©KD-MarkerSquare-Color_11.png’ file from the freebie pack and you should notice right away that there is no background here along the outer edges of the image. 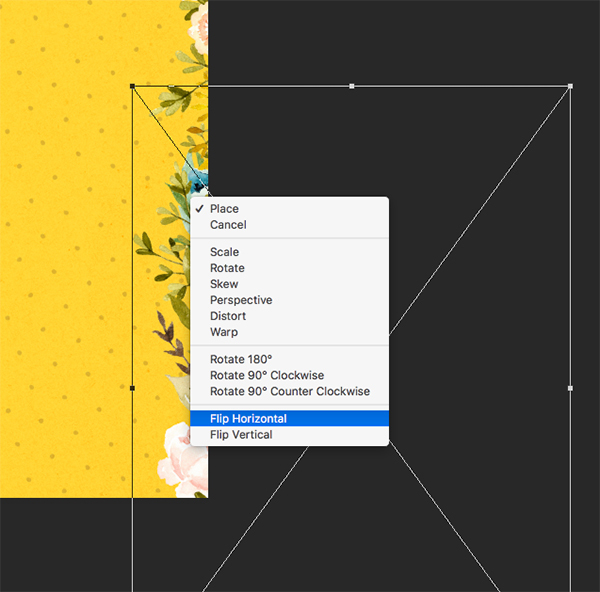 We will do the same thing we did in the second step which is to first drag the file over into our main document before double clicking the layer to rename it. 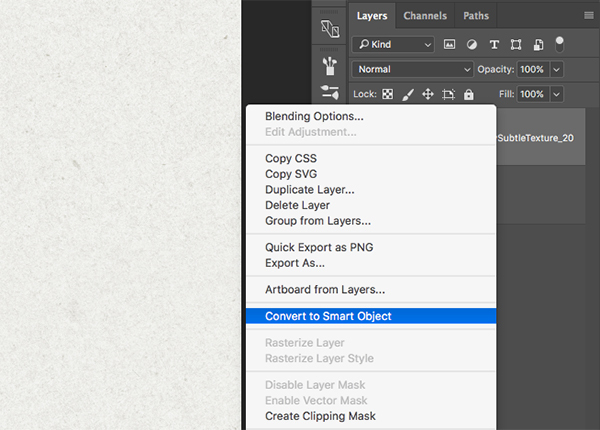 From here, we will once again hold down the Control Key, click on the layer, and then choose ‘Convert to Smart Object’ and you should see the same small icon next to the layer thumbnail that indicates the layer has been made into a Smart Object. Next, open the ‘Small_Dot_Pattern.png’ file from the freebie pack for this tutorial. 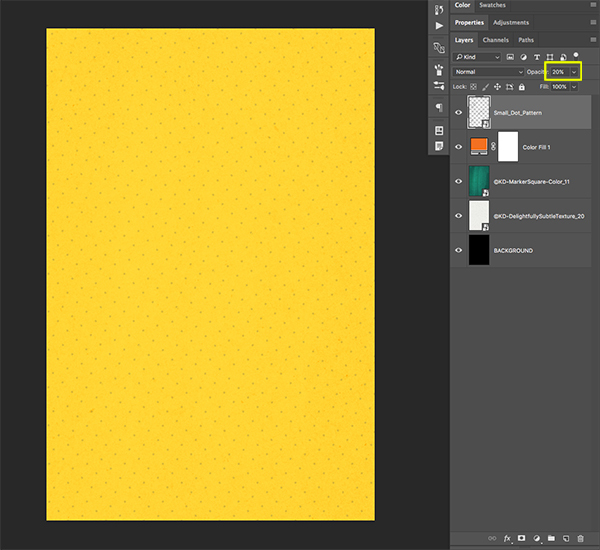 Select the ‘Small_Dot_Pattern’ layer and press Command/Ctrl+J to duplicate it. Hold the Shift Key and drag the copy down, directly below the original. Repeat this process again so you now have two copies in addition to the original all stacked on top of each other. 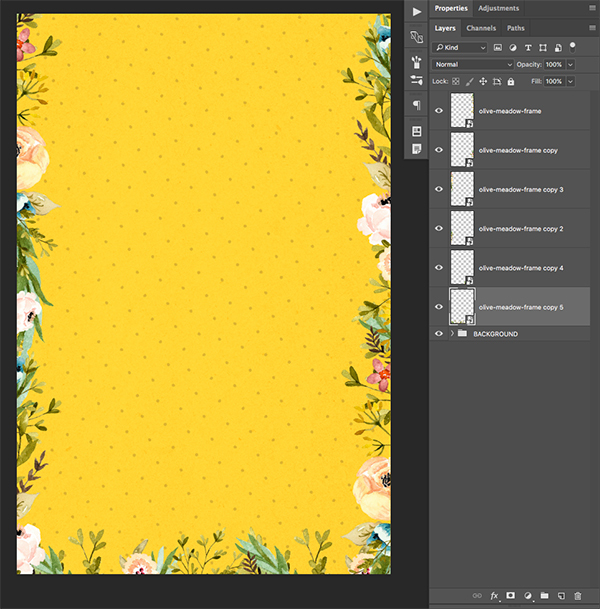 The idea here is to create a copy and move it down so that it creates a seamless pattern of dots. 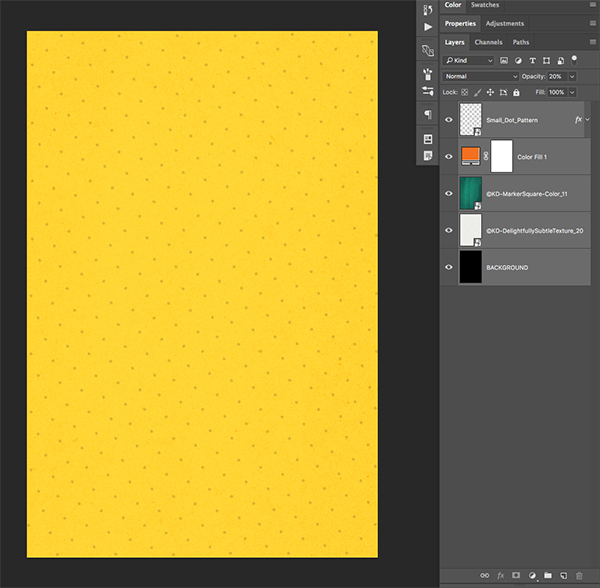 Select the top dot pattern layer, hold the Shift Key, and then select the third layer so you have all three copies selected at the same time. 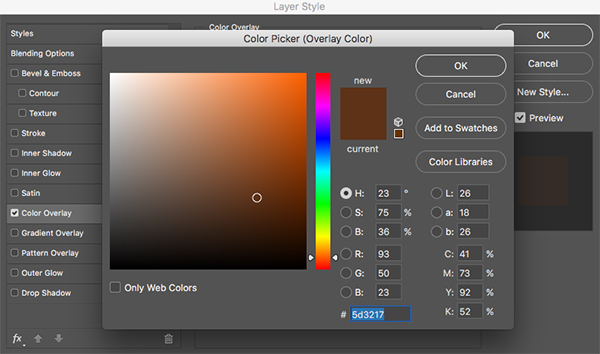 While these three layers are highlighted in your Layers Palette, press Command/Ctrl+E on the keyboard to merge all three copies together into a single layer. Now that we have made our pattern larger and rotated the dots, go ahead and reduce the opacity of the layer to about 20% by either dragging the opacity slider to the left, or by simply pressing the number ‘2’ on the keyboard. 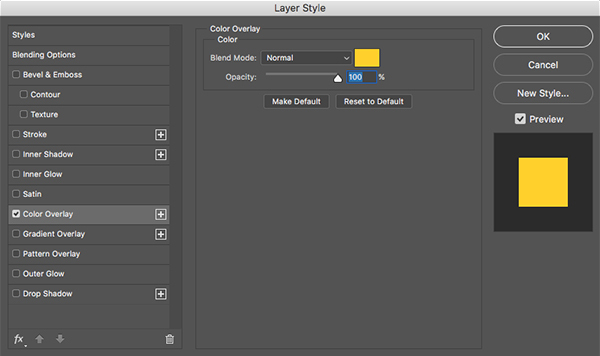 Double click on the dot pattern Smart Object layer to bring up the Layer Styles Dialog Box. 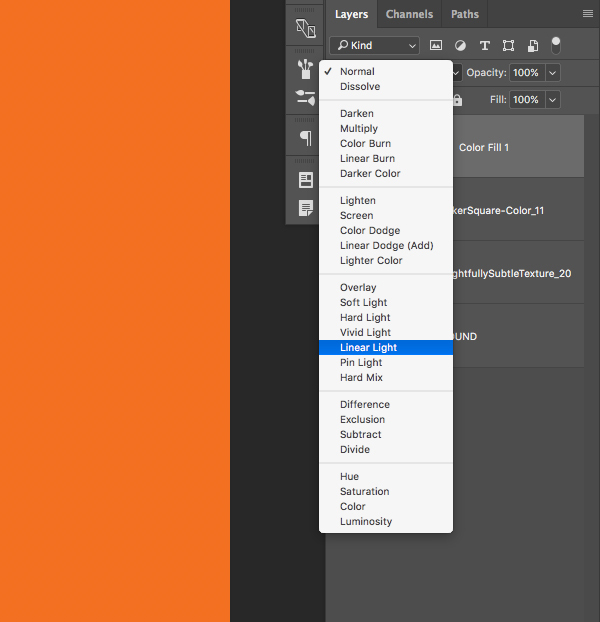 From here, check off the ‘Color Overlay’ option. 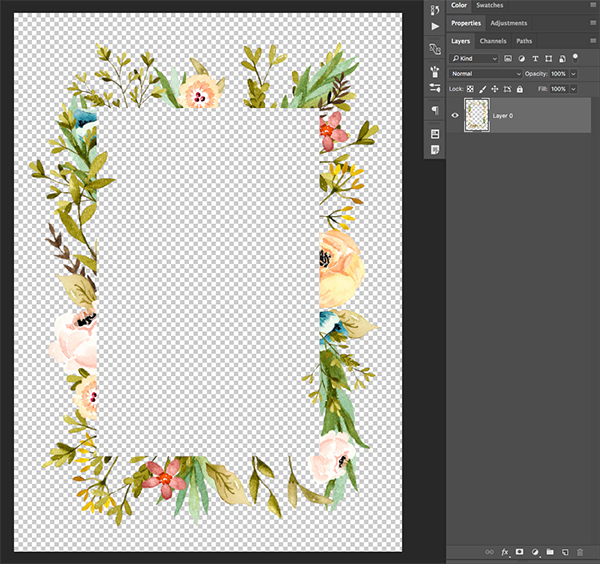 We will now open the ‘olive-meadow-frame.png’ image from the freebie pack. 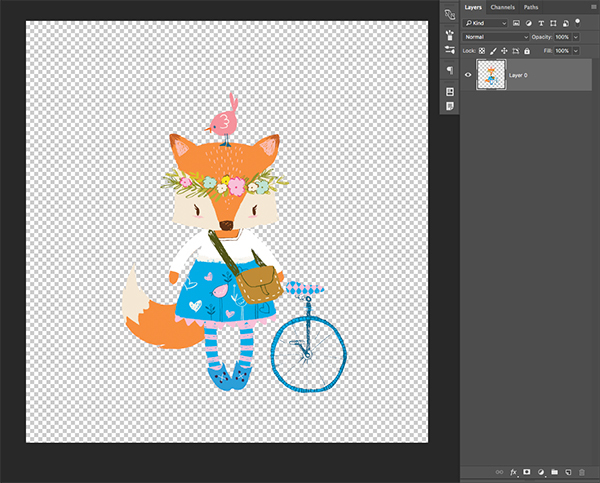 Select your frame Smart Object layer and press Command/Ctrl+J to make a copy of it. 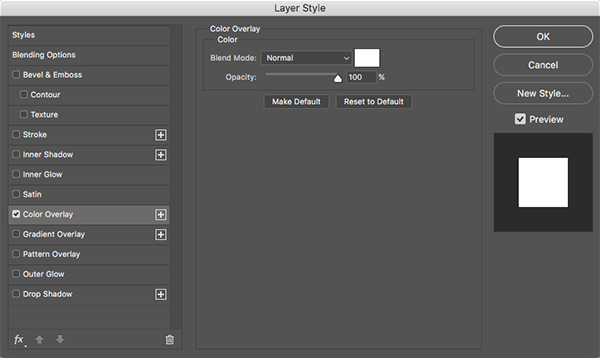 Select the copy and drag it below the original layer. 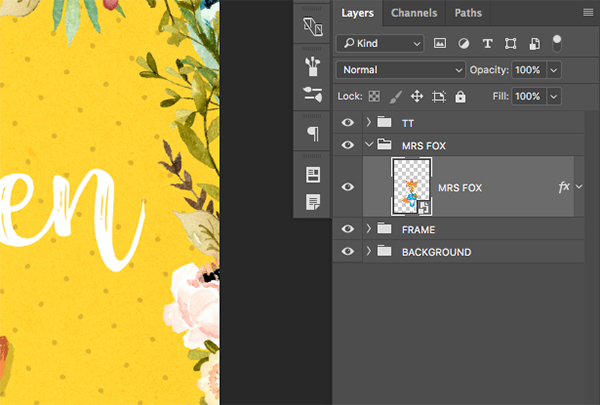 Next, hold the Shift Key and slide the frame downwards so that the whole right side of the image has the side of the frame showing. For variation we will then press Command/Ctrl+T to initiate a Free Transform and then click on the object while holding the Control Key. Doing this will reveal a dropdown menu that will allow us to then choose the ‘Flip Horizontal’ option. 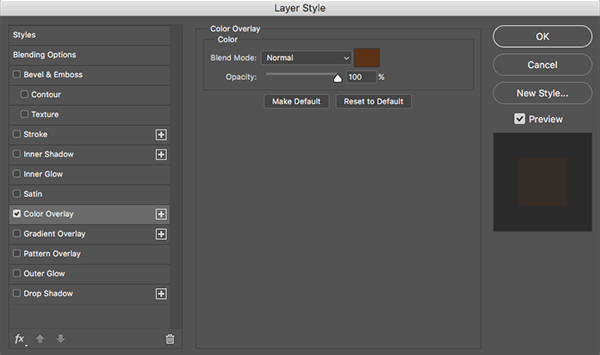 Hold the Shift Key and select both of the olive frame layers in your Layers Palette. Create another copy of the frame by pressing Command/Ctrl+J and this time move it to the bottom right corner, so only part of the top of the frame is showing along the bottom edge of the document. 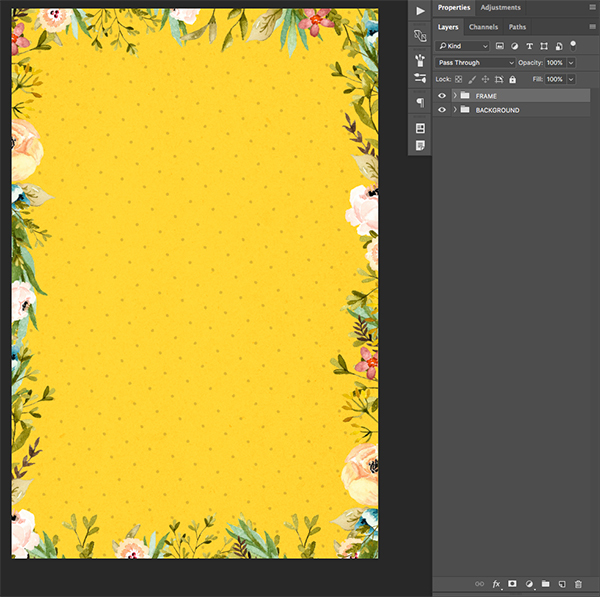 Make another copy of this layer, hold the Shift Key and slide it over towards the left until the entire bottom is filled with florals. To add more variation here you can press Command/Ctrl+T to initiate a Free Transform, and then click on the image while holding Control and then choose ‘Flip Vertical’ from the dropdown menu before pressing ‘Enter’ to apply the changes. 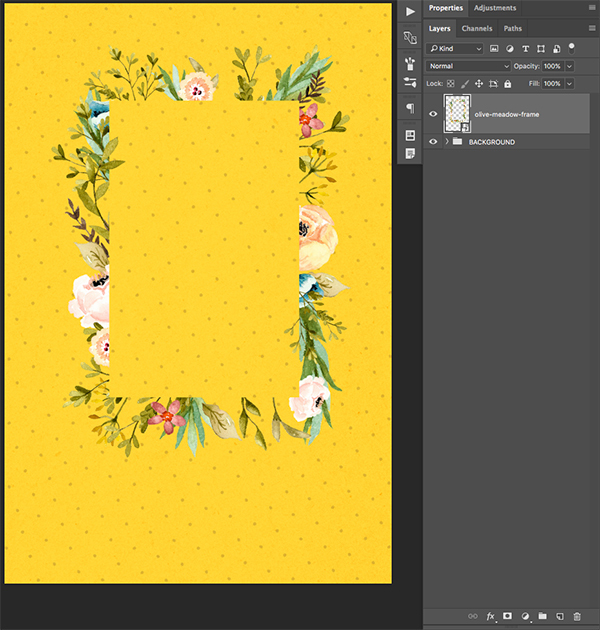 Repeat these last steps to do the same for the top of the image so you now have two copies of the frame on each side. 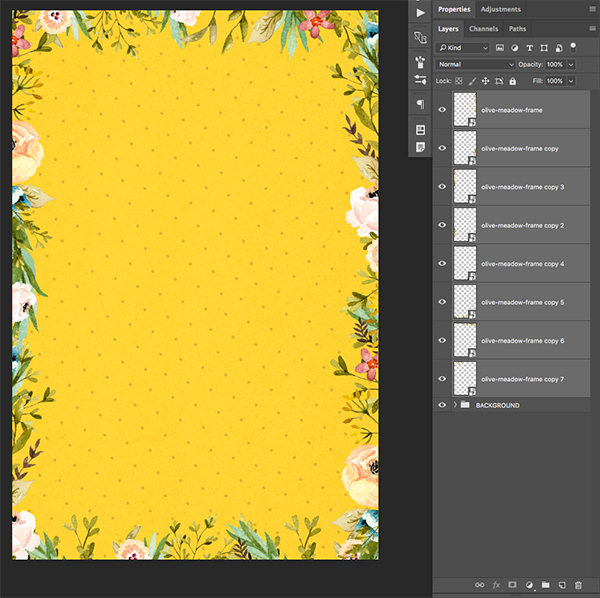 Once you are happy with the placement of your florals, select the top layer, hold the Shift Key, and then select the very bottom frame layer so they are all selected at once. 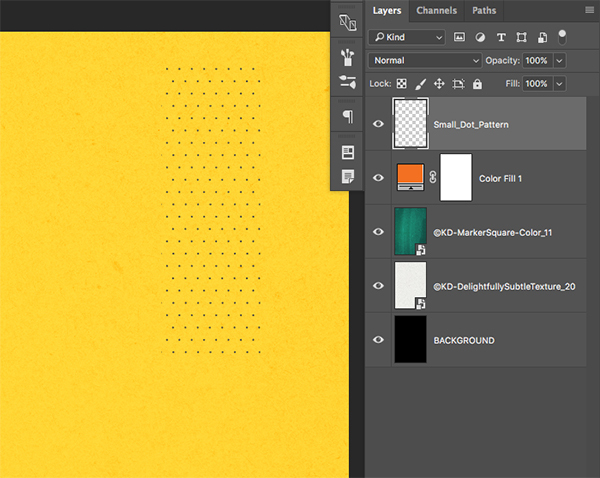 From here we can once again put these into a Group Folder by pressing Command/Ctrl+G or by clicking on the small folder icon at the bottom of the Layers Palette. 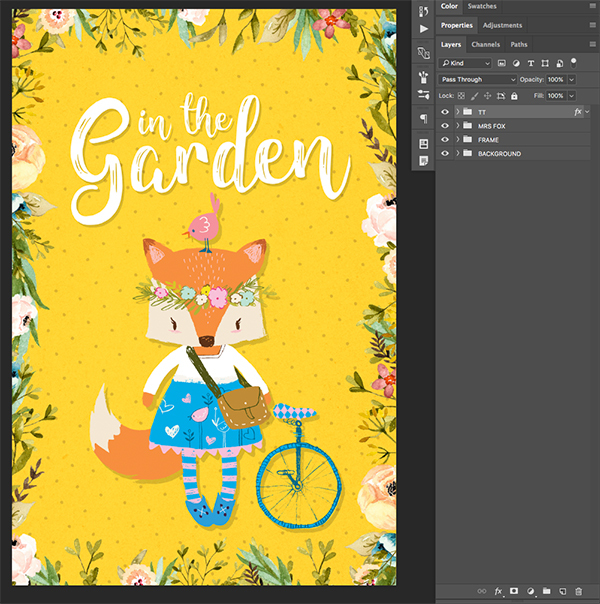 Once you’ve put these into a folder, let’s double click on the folder in the Layers Palette to change the name to ‘FRAME’ or something similar. 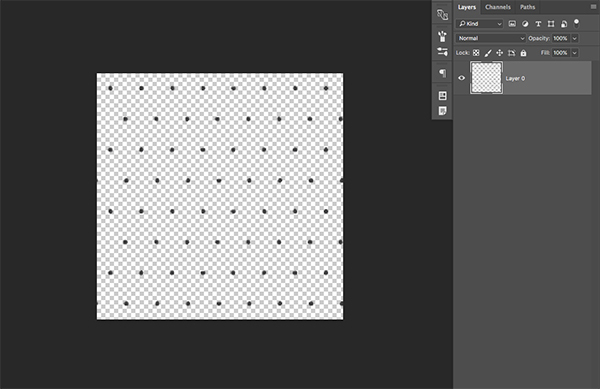 Press Command/Ctrl+T to initiate a Free Transform, and then hold the Alt/Option+Shift Keys while dragging inwards from any of the four corners of the bounding box to scale the image down from the center. Use the image below as a rough guide for the size and placement of the character. Next, hold the Shift Key and select both of your text layers before pressing Command/Ctrl+G to place them into a new Group Folder. For now let’s call this folder ‘TT’ for ‘Title Treatment’ so that we know where to find our text. 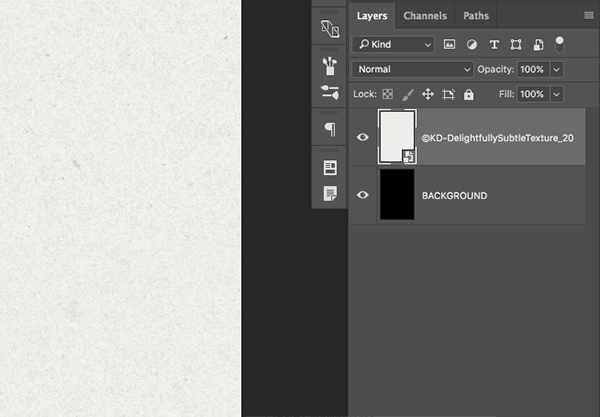 Hold the Control Key and click on the ‘fx’ symbol to reveal a dropdown menu. 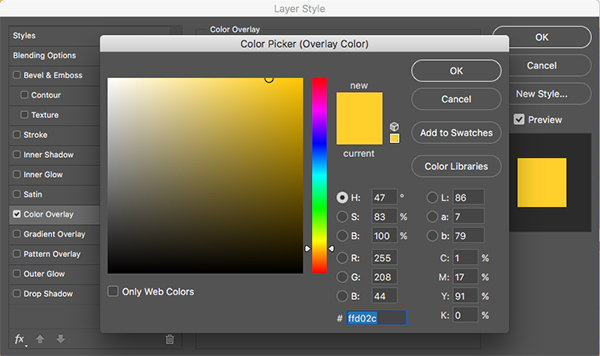 From here, go ahead and select the option that says ‘Copy Layer Styles’ to copy the Drop Shadow effect that we applied earlier. 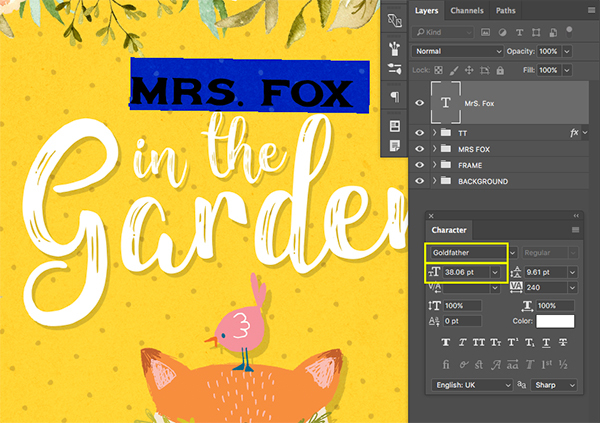 From here, hold down the Control Key and click on the ‘TT’ Group Folder to reveal the same dropdown menu, except this time we want to choose ‘Paste Layer Style’ in order to apply the same effect to our title. 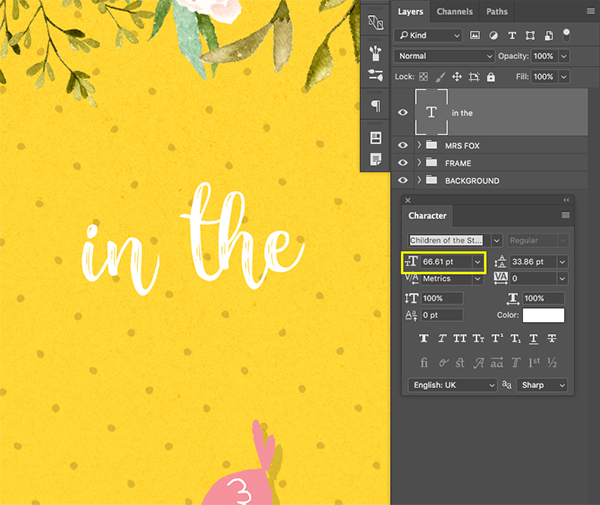 Create a New Layer at the top of your Layers Palette and switch back over to your Type Tool by pressing the letter ’T’ on the keyboard. 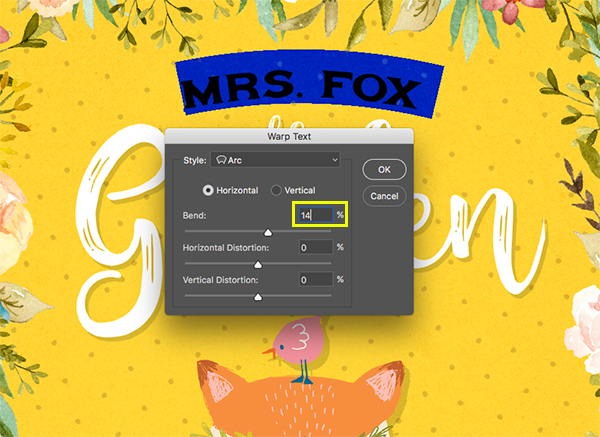 Click on your workspace above the previous text and type out the name ‘MRS. FOX’ using another free typeface called ‘Godfather’ from DaFont.com. This font works nicely with our other typeface and gives a nice bit of contrast to the handwritten type of our main title treatment. 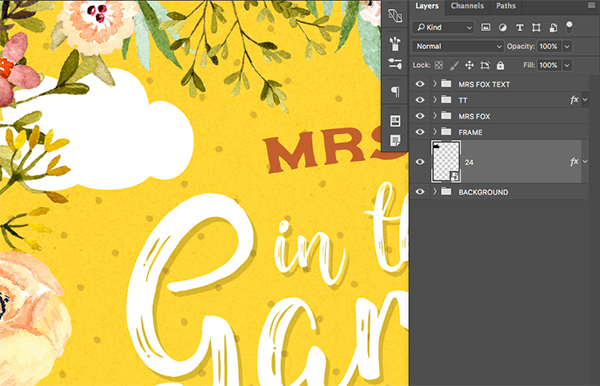 In the Character Panel you will see the name of the font as well as the point size I am using – 38.06 pt. 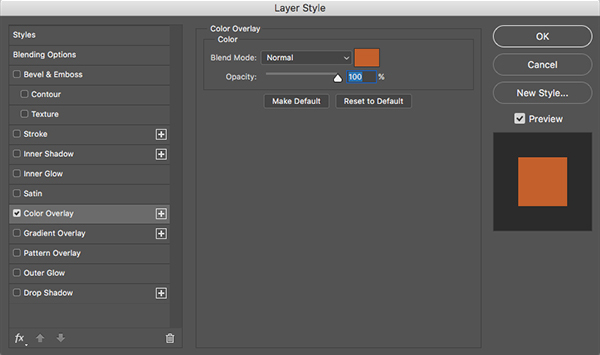 Press ‘OK’ to apply the warp and then double click on the layer to bring up the Layer Style Dialog Box. 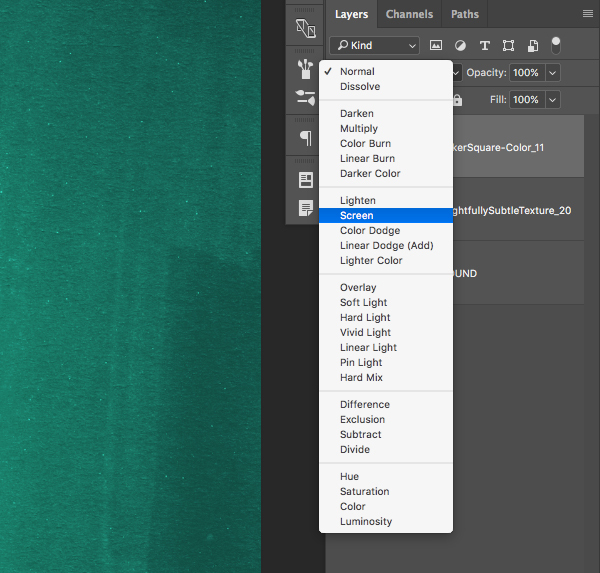 From here we will check off the ‘Color Overlay’ option. 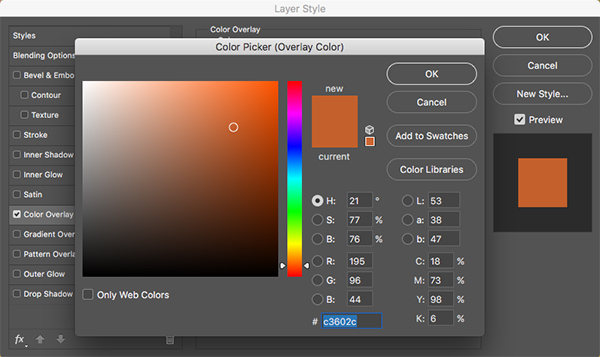 For the fill color, enter a hex value of #C3602C which is a dark orange/brown color sampled from the ears of the fox. 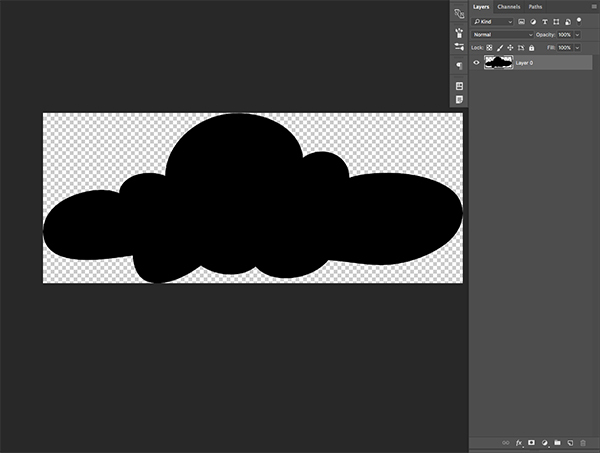 Next, open up ’24.png’ from the freebie pack, which is the first of two cloud shapes we will be using. 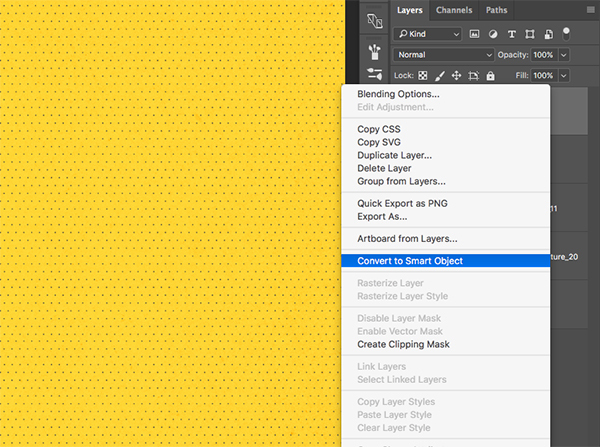 Drag the cloud into your main document and rename it ’24’ before converting it into a Smart Object. 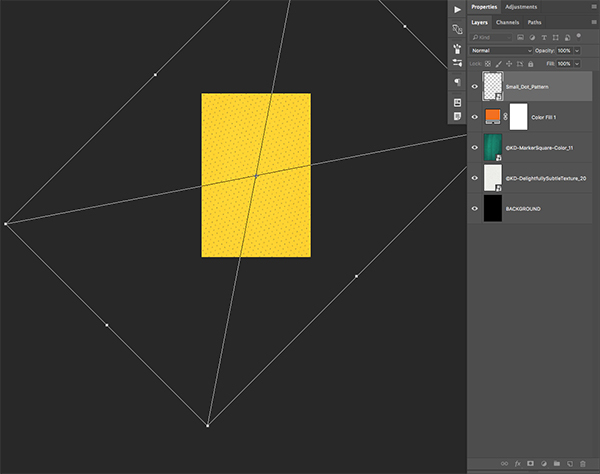 Press Command/Ctrl+T to initiate a Free Transform and then scale the cloud down by holding the Alt/Option+Shift Keys while dragging inwards from any of the four corners of the bounding box around the graphic. 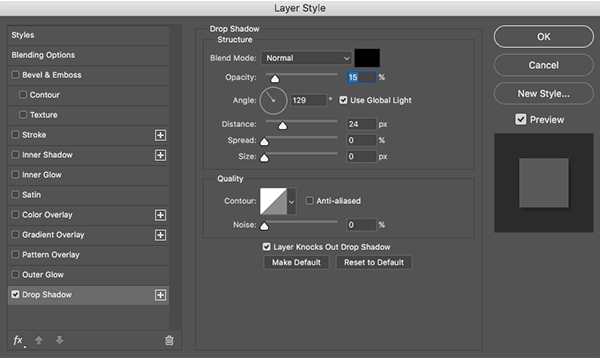 Click and drag this layer below your ‘FRAME’ Group Folder and use the image below for reference to see the size and placement of the cloud in relation to our other objects. Once you have placed the cloud and scaled it accordingly, double click on the layer to bring up the Layer Style Dialog Box. 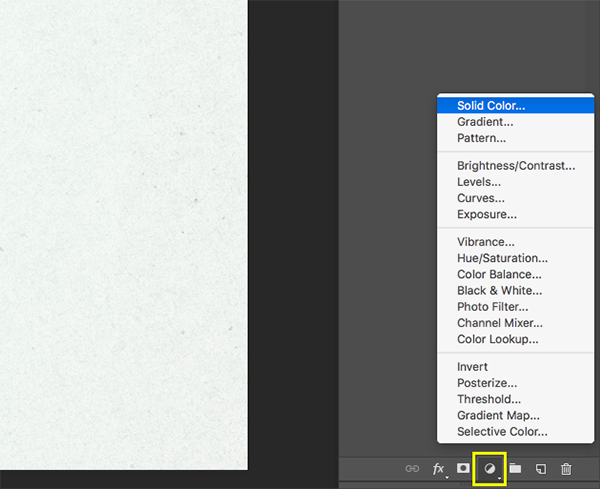 From here, check off the ‘Color Overlay’ option and set it to solid white. 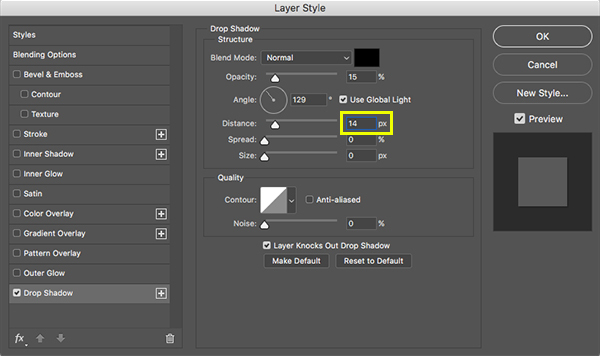 Select the ’24’ layer and press Command/Ctrl+J to create a duplicate, and then click and drag the layer below the original. Use the image below as a guide for the size and placement of this second cloud shape. 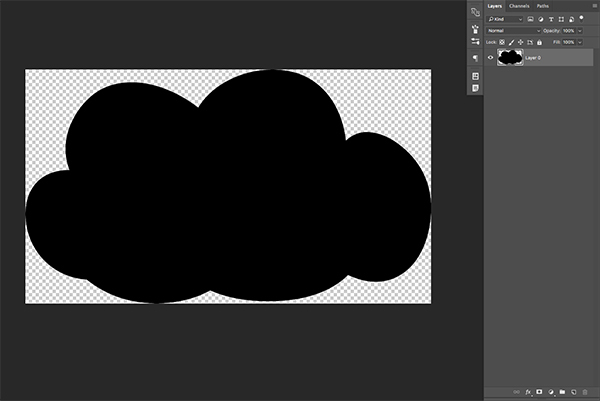 Next, open up ’121.png’ from the freebie pack, which is the second of the two cloud shapes we will be using. 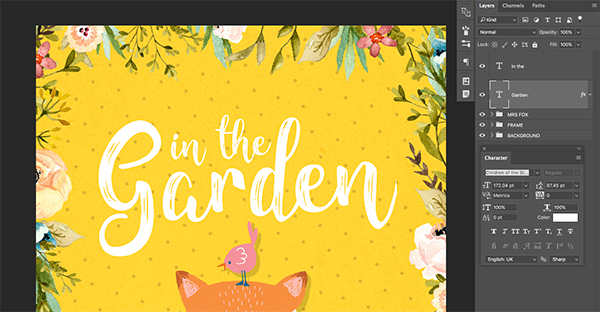 Click and drag the flying birds into your document before renaming the layer ’72’ and placing it above the other vector shape layers. 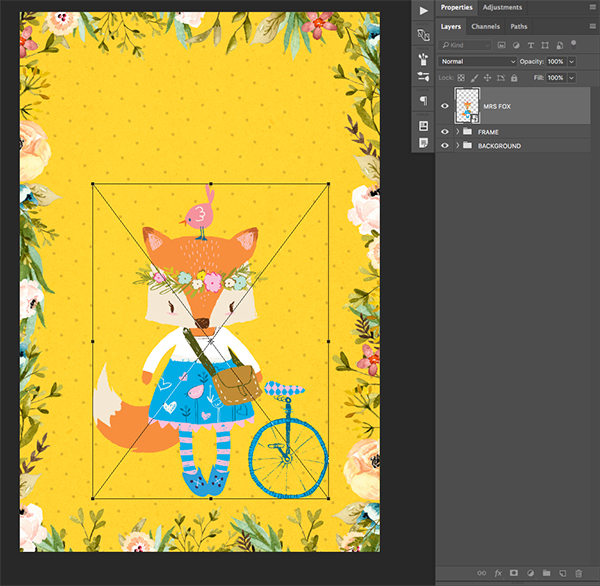 Hold down the Control Key and click on the layer before selecting ‘Convert to Smart Object’ as we did with our previous shapes. Here we will also reduce the size of the birds using a Free Transform (Command/Ctrl+T) and then dragging inwards from the corner of the bounding box while holding the Alt/Option+Shift Keys. 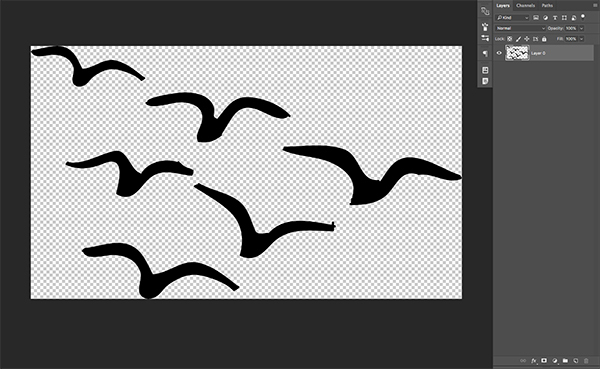 Use the image below as a guide for the size and placement of the flying birds. 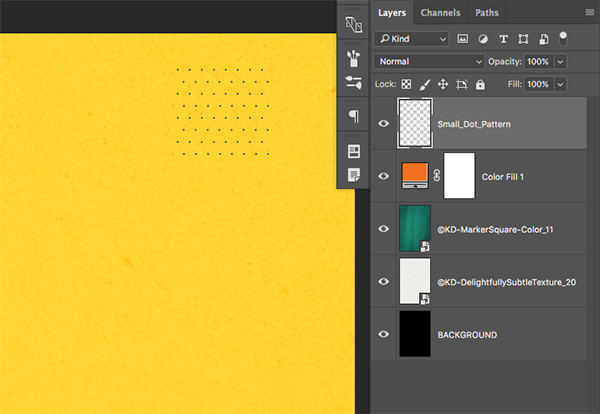 For the fill color we are going to match the yellow of the background which is ##FFD02C. 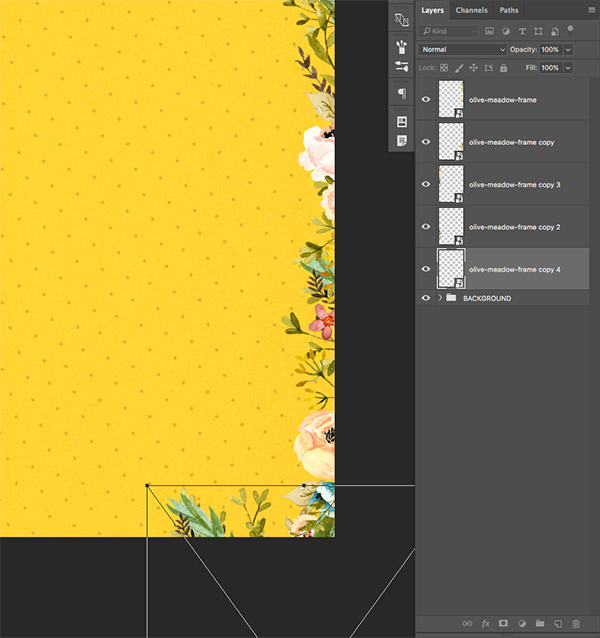 Press Command/Ctrl+G to place all of these layers into a Group Folder and rename it ‘VECTOR SHAPES’ or use a similar name for the group. 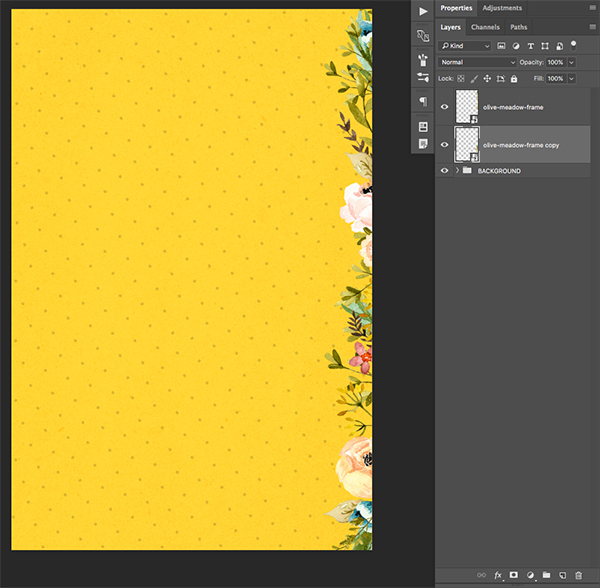 At this point our cover design is complete and all of our layers and objects are nicely organized in our Photoshop file. I hope that you have enjoyed this lesson and of course feel free to make any further adjustments or changes you like to the image. 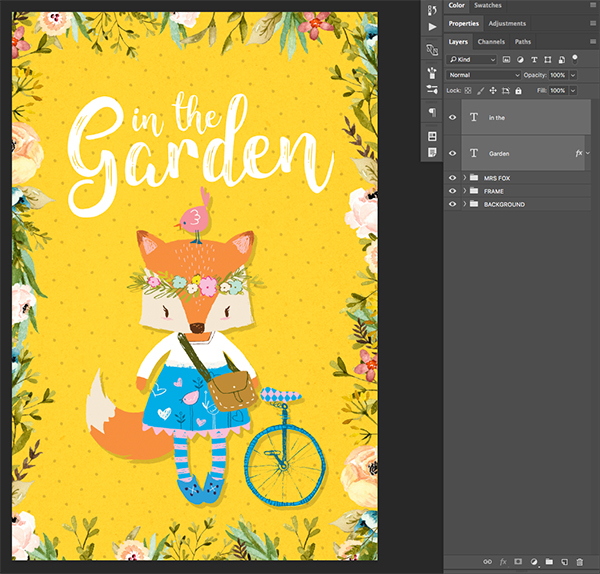 There’s still time to check out The Vibrant, Artistic Design Bundle where you’ll discover thousands more quality resources and tools to add some design magic to your projects, all for just $29. Thank you for the excellent tutorial. You are an excellent instructor. I especially like the keyboard shortcuts. Thank you so much for your lovely comment- Eric will be so happy to hear that you find this tutorial really useful :). Loved the tutorial. Learned a lot. I too would love if we could get pdfs to make it easier to refer back to. Thanks so much for your comment, we’re really glad that you enjoyed this one and found it useful! 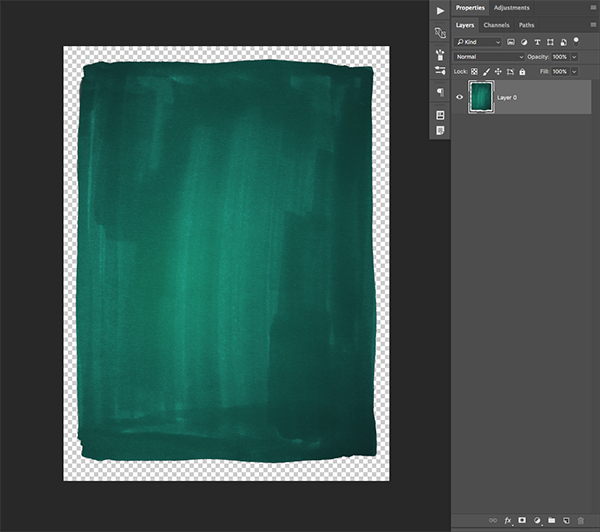 I just finished the tutorial as well and have more questions about the texture color, following up on the comment by maclusiau, above. 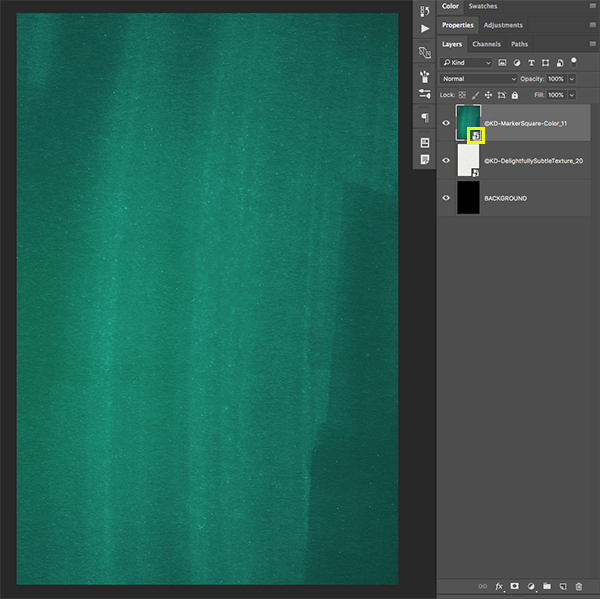 How do you know what combination of texture colors to use to produce the final result? 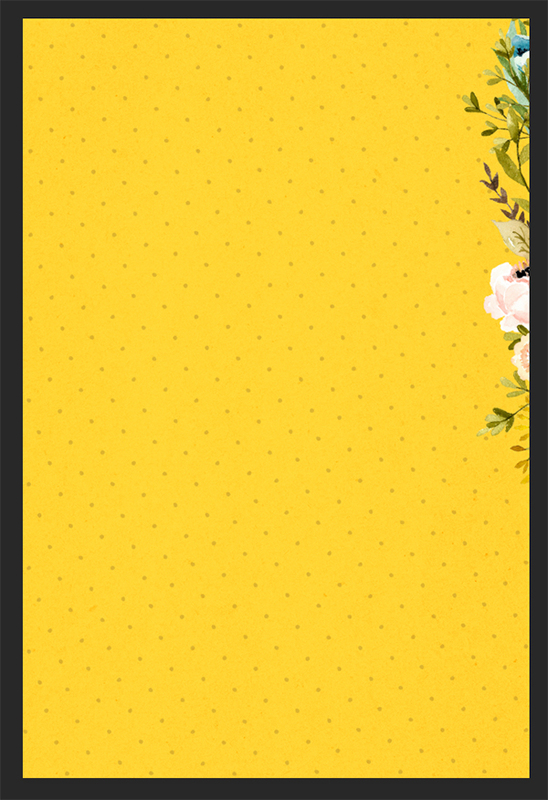 Would the placement of the “yellow” as the background color always produce a Yellow background color? What if you wanted a blue background? Would you just substitute the background color only? Would the orange and green remain the same? This was a great tutorial. 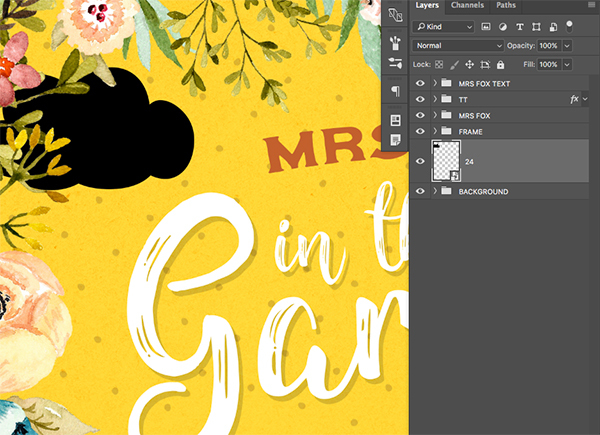 As you already know, I am writing children’s stories and I have already used many of Lisa Glanz designs. I also use Julia Dreams and Artifex Forge a lot. I like portrait creators. 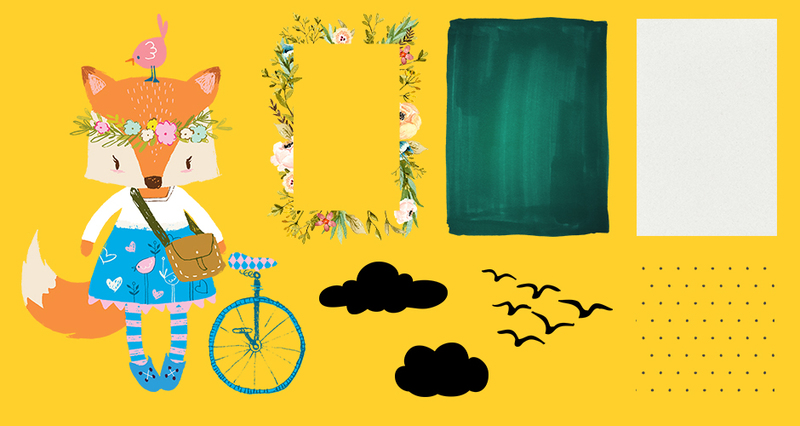 My current book is an alphabet book, called Alphabet City. I already have the cover for it. Thanks so much for your comment and I do apologize for any confusion! We are so glad that you enjoyed this one though and we hope that it offered a little inspiration for your books too. I loved the tutorial , learned something. The graphics are just wonderful and cute too. Thanks for the comment and unfortunately we don’t have PDF’s for the tutorial- however it is written for you on the tutorial page so I would recommend using this as a guide :). I will mention to the team here to see if we can look at including PDF’s for the future though! So adorable! I had such fun making this – thank you! Thanks so much for the comment! We are so pleased you liked this one :). 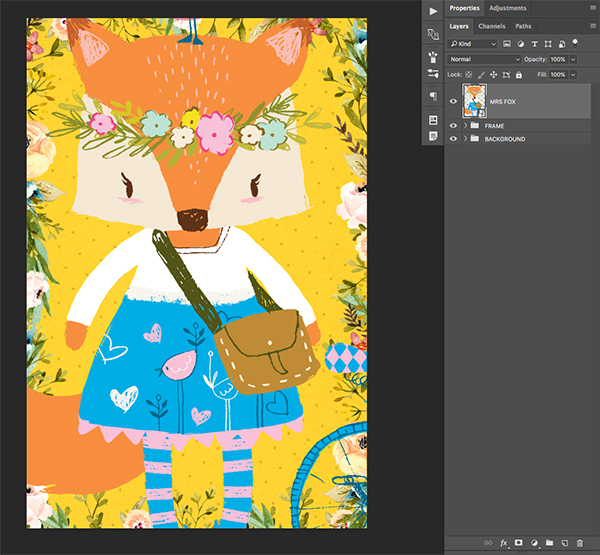 We would love to see your finished piece if you were keen to share! 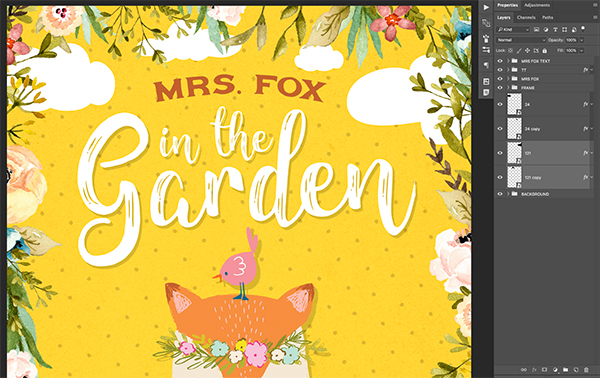 Hello, I have just completed the Mrs Fox tutorial, thank you for the lesson. There are some steps that do not include an explanation and don’t quite make sense to me. 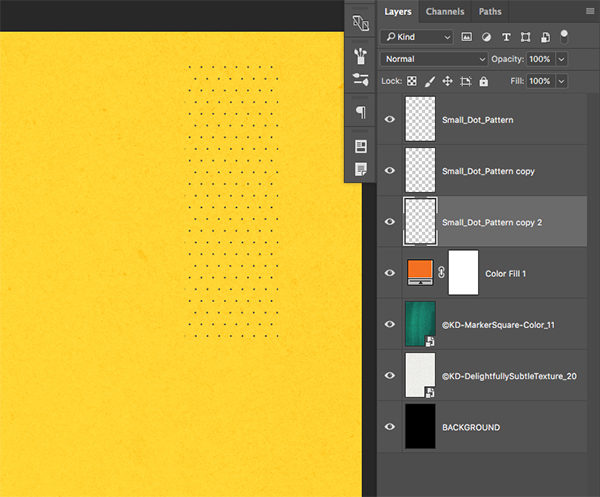 For example, why do we start with a green marker background then cover with orange and then yellow? Thank you. Thank you so much for your comment and it’s awesome to hear you’ve just completed this one!